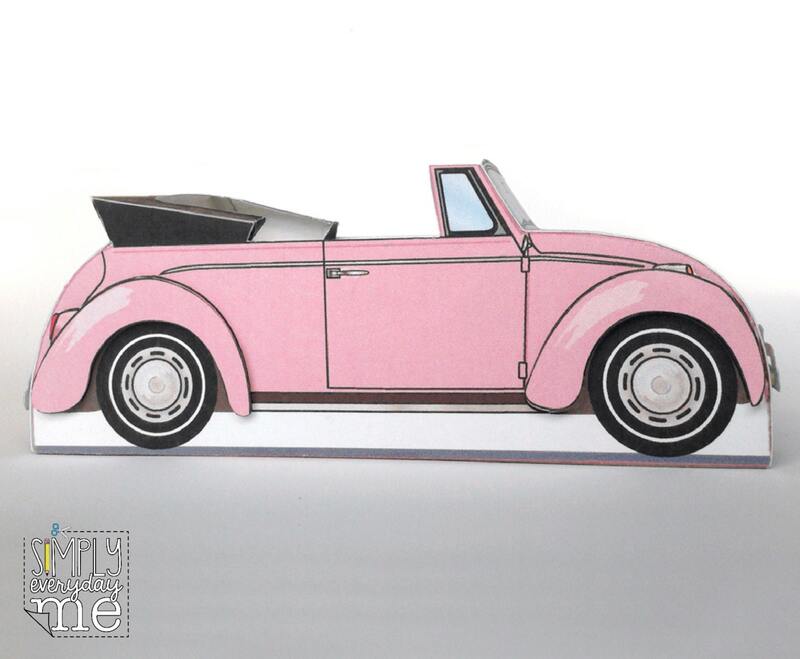 (¸.·´You’ll love this little PINK Beetle Bug Convertible Car favor box. 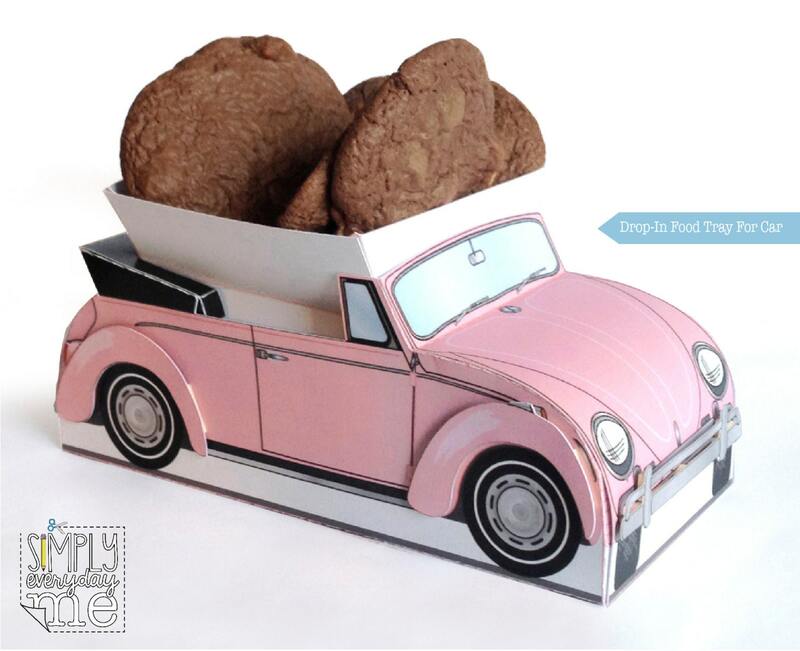 Included in this kit: Beetle Car Box ★ Editable License Plates on Car ★ Cute 1960’s Inspired Cutouts/Cupcake Pick Art ★ Extra Editable License Plates ★ Removable Cupcake Tray ★ Removable Food Tray ★ Full color step-by-step Instructions, plus Information for materials need & paper suggestions. When assembled, box measures: 3”w x 6.5”l x 2.5”h. 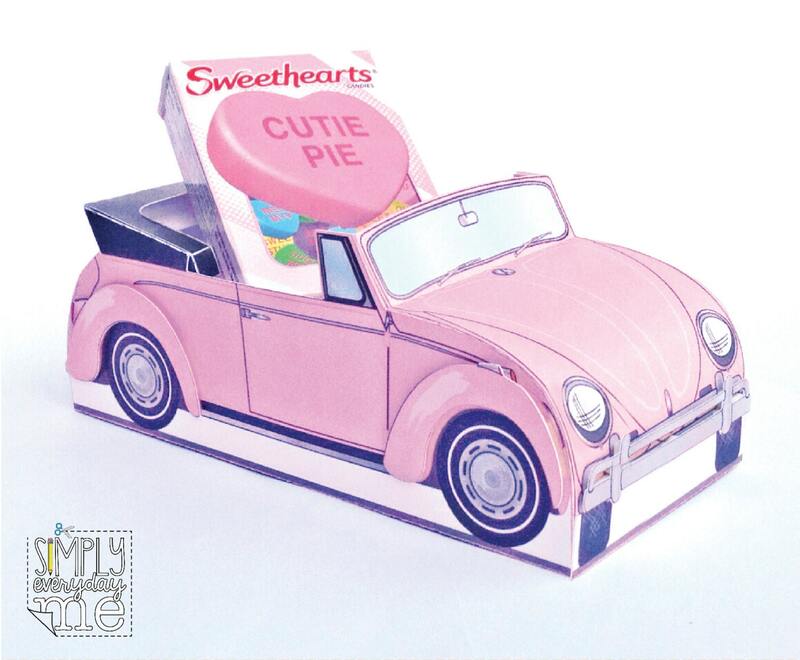 Create a smile with this cute Retro Convertible Beetle Bug-Inspired Car. 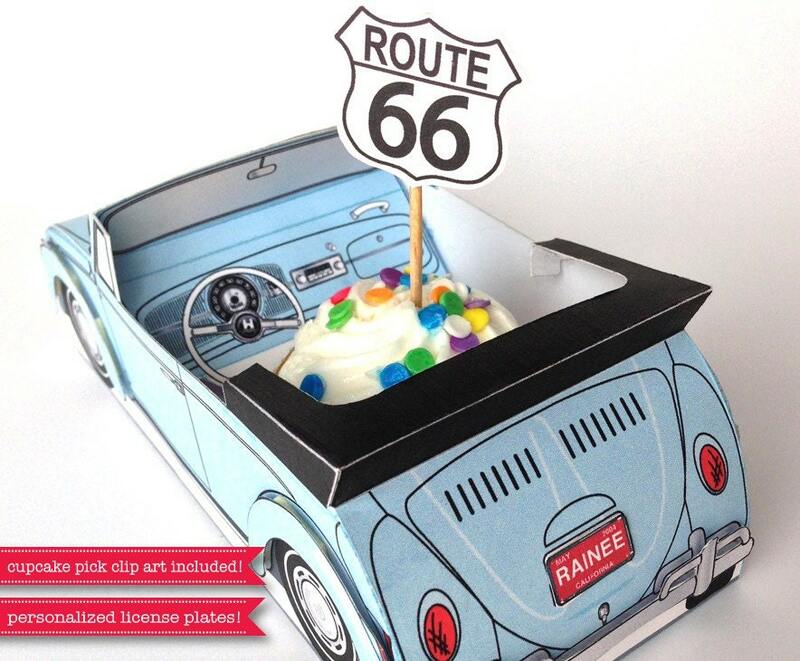 Fill it with cupcakes, candies, homemade treats, donuts, gift cards, gifts… or use as a centerpiece. Or use the removable food tray for a homemade ‘happy meal’. 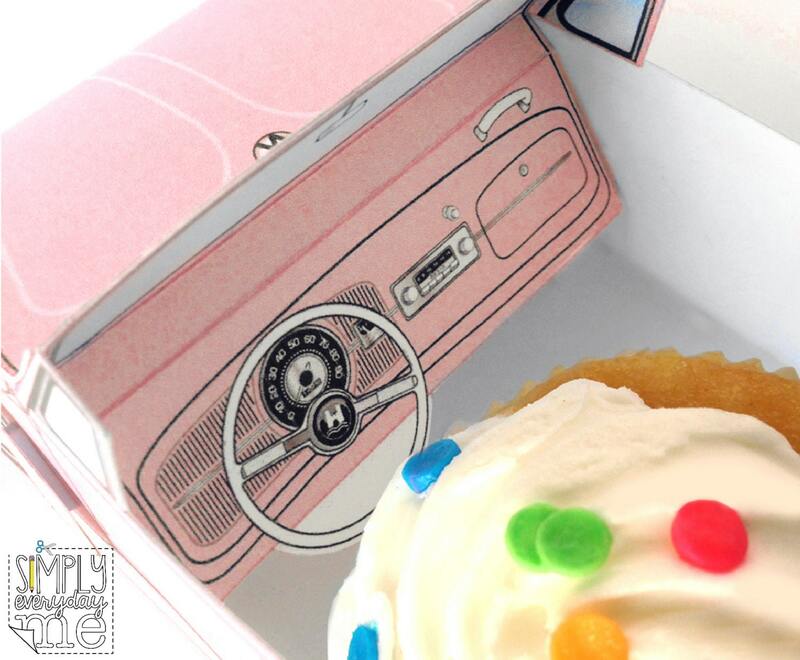 There really is no end to what it can be used for - - here are a few more… birthdays… just because… wedding favor… 'Just Married Car'… baby shower… bridal shower… sweet sixteen… and don’t forget dad’s birthday or Father's Day. So, whatever the occasions it’s sure to be a memorable treat. I've ordered several gift boxes, and they are ALL super adorable, and my friends loved them as gift boxes! I will definitely be a return customer!